Cibo is celebrating its 19th anniversary with a Mangia Feast All-You-Can Promo! 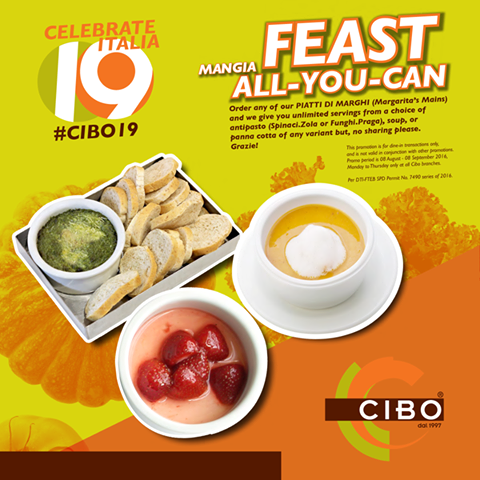 Order any of Cibo's Piatti di Marghi (Margarita’s Mains) and enjoy UNLIMITED servings from your choice of antipasto - dip al forno (Spinaci.Zola or Funghi.Praga), zuppa (soup), or panna cotta! Sorry, no sharing! 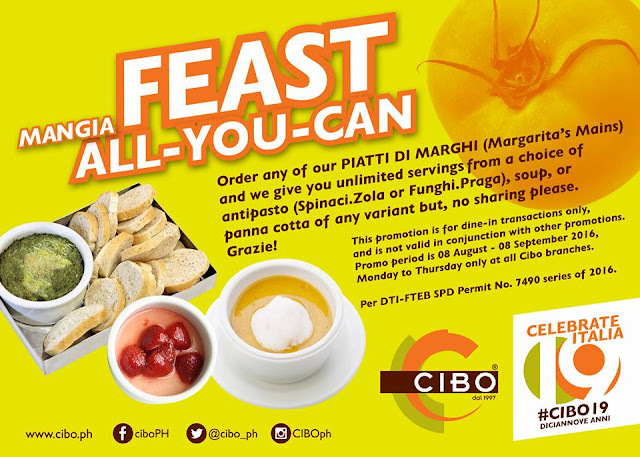 This promo is valid for dine-in transactions only, and is not valid in conjunction with other promotions.